The following articles are now available from the latest edition of the Charitable Giving Tax Service Analysis & Comment. To see the complete text, just click here. Archived articles, and the full 1200-page gift planning library are available at no charge if you register and sign in to CGTS-Online. Inclusion of sample language avoids 5% probability test. Trust terms don’t provide for invasion of corpus due to financial need. Restrictions resulted in minimal return, hampering decedent’s intent. Stock exchanged for promissory notes at discounted amount. Spouse stuck with IRA and income in respect of a decedent. Charity’s claim against estate denied. Trust will receive cash from testator’s IRAs. Donors want funds returned if not used as promised. Organization was intended beneficiary of instrument. • To Elect or Not Elect?  ©2018 Community Foundation of Southern Indiana. All Rights Reserved.